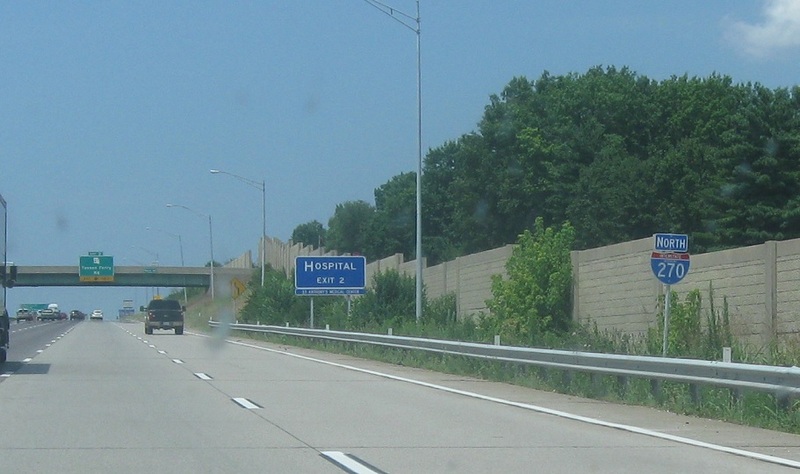 Reassurance shield as Interstate 270 begins. 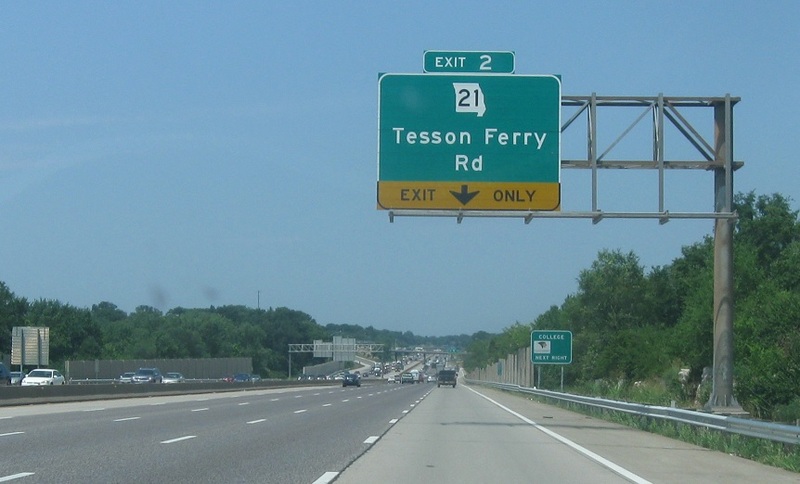 270 forms the west and north portion of the St. Louis beltway. 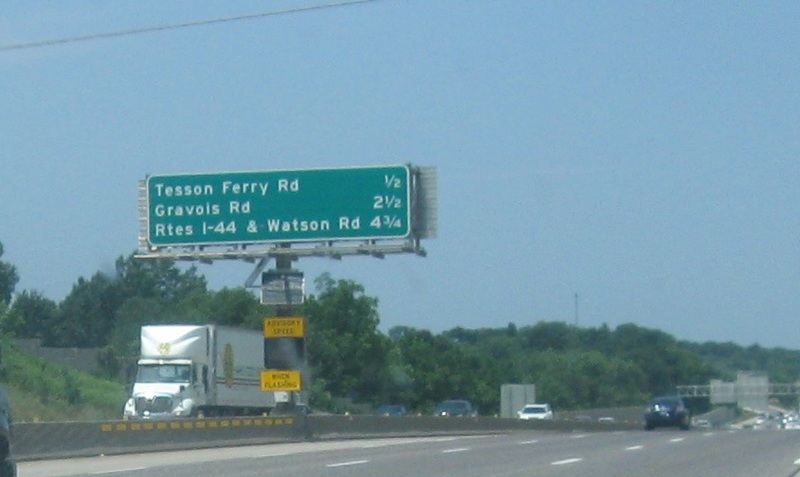 Just as I-270 begins, we’ll approach Missouri 21. 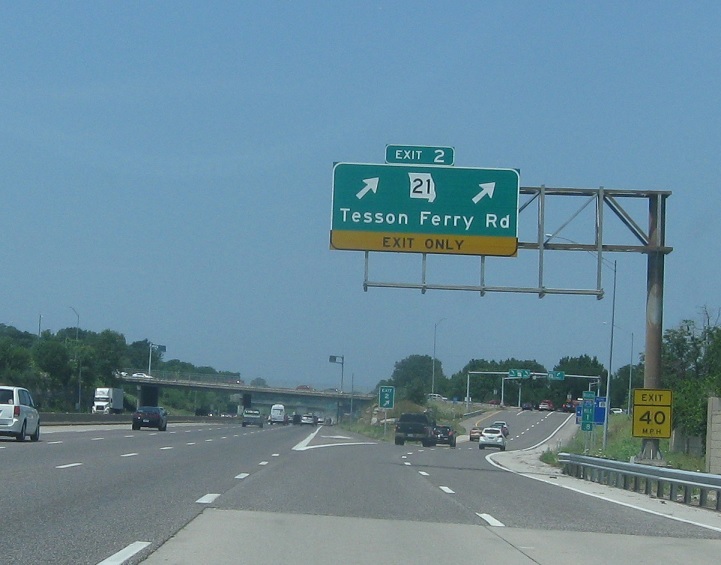 1/2 mile to MO-21/Tesson Ferry, 2.5 miles to MO-21/Gravois, 4.75 miles to Interstate 44. 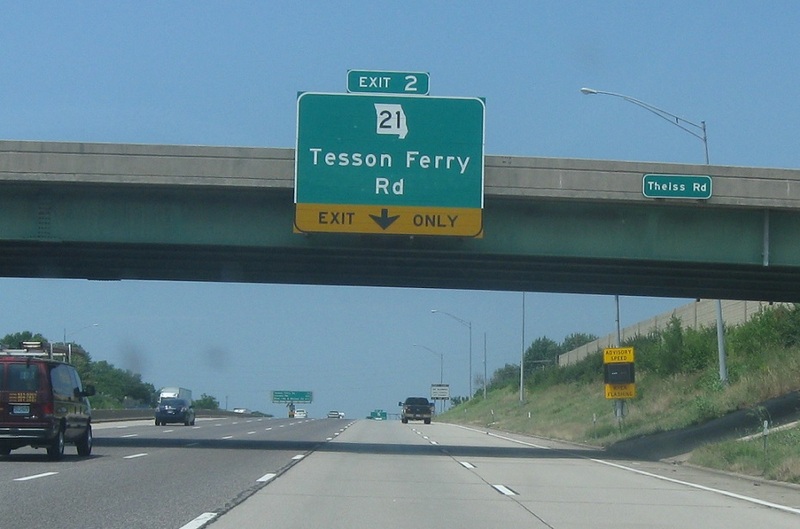 MO 21 exits and heads north just a couple blocks, but south all the way to Ironton.